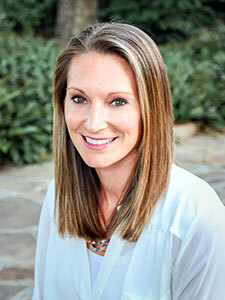 Originally from East Tennessee, Dr. Josie Reynolds graduated from Vanderbilt University in 2005 with a Bachelor's of Science degree in Neuroscience. She then went on to attend dental school at the Medical University of South Carolina in Charleston, South Carolina, graduating in 2010 with a Doctor of Dental Medicine degree. Upon graduation from dental school, Dr. Reynolds practiced dentistry in private practice in Marietta, Georgia for 5 years and Oklahoma City, OK for one year. In 2016, Dr. Reynolds and her family relocated to Auburn, AL for her husband's new role as the head Men's Tennis Coach for Auburn University. Dr. Reynolds prides herself on her compassion for her patients and her excellent quality of care. She is skilled and experienced in a wide range of dental procedures including restorative dentistry, cosmetic dentistry, and oral surgeries. Dr. Reynolds has taken multiple courses on implant dentistry, bone grafting, and orthodontics. Her professional memberships include the American Dental Association, the Alabama Dental Association, and the Ninth District Dental Society of Alabama. In her free time, Dr. Reynolds enjoys spending time with her husband and three sons, and as a past four-time NCAA All-American in track Track & Field, she still enjoys running.